During the dog days of summer, it can be hard to know what is the best way to care for you garden, so we have put together this little guide to help you out! Pull weeds as soon as you notice them to prevent them from going to seed. This will help to prevent overwintering weeds that will be a nuisance next year! Apply a fresh layer of mulch (1-2 inches thick) after you weed to help the soil retain moisture and to reduce future weed growth. A layer of compost with mulch on top also works well. 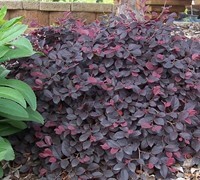 However, try to avoid putting mulch or compost onto the plant stems themselves. 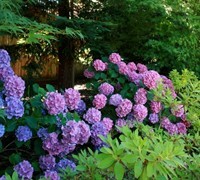 Remove spent flowers on annuals, roses, and perennials. 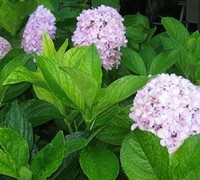 Doing so will result in more blooms that will continue well into the fall season. If your annuals are looking leggy and worn, cut them back hard and fertilize them to produce a fresh profusion of blooms. Prune shrubs and small trees to remove dead branches and to shape. 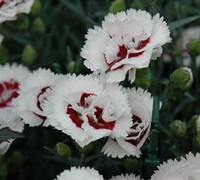 Keep any new plants (planted within the past six months) watered deeply during hot, dry spells. Whenever there is less than an inch of rain over a four-to-six week period, you should water even your established trees. Trees less than two years in the ground need water every one-to-two weeks. You should avoid too much moisture on the leaves, as this can increase the chance of fungal problems and water on leaves while the sun is out can cause the foliage to burn. It’s best to place a bubbler or a soaker hose around your plants or use sprinklers in the early morning or late afternoon. Contact your state Extension Office to have your soil tested to see if you have any nutrients lacking. This information will allow you to choose the fertilizers and mulch most appropriate for your garden. Go ahead and start your seeds for fall crops like spinach, radishes, lettuce, and greens. It’s also a great time to order bulbs for fall planting. (But don’t plant the bulbs until the soil temperature has cooled to at least 60-degrees Fahrenheit. Watch for fall webworm activity now. If you prefer a more natural approach, release Trichogramma wasps now to reduce or prevent fall webworms. These wasps are tiny predators that eat webworm eggs before they become pests (the wasp does not control worms that have already formed webs, which is why now is a good time to release them before the webworms become a problem). Still want to play in the dirt and add more items to your garden and landscape? Here are our suggestions for things you can plant during mid- to late-summer. 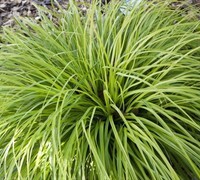 Plant perennial plants like ornamental grasses and sedum. 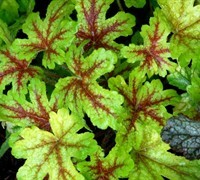 (Note: It is also a good time to move or divide perennials as well.) Perennials planted in later summer should be mulched to help them overwinter. Plant or transplant evergreens now to ensure good rooting before winter arrives. Water both the planting site and the plant for several days before moving/planting. Late summer is a good time to plant pine, spruce, and other evergreens. 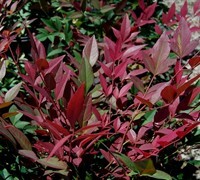 Deciduous trees and shrubs can also be planted in late summer. Water newly planted trees (deciduous or evergreen) every day for three to four days, and then gradually reduce the frequency of watering. A good watering every 7 to 10 days should be sufficient three to four weeks after planting. Continue watering until the ground freezes. 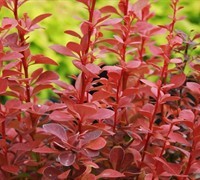 Planting in the late summer and fall can also help you to save money. Nurseries have plants that have been growing in their containers all summer, making them bigger and more transplant hardy. Prices might also be lower as nurseries work to clear out their stock for the winter. Some of the perennials may look tired, but a half-price tag will make up for the temporary lack of beauty, and the plants will rebound come next spring.